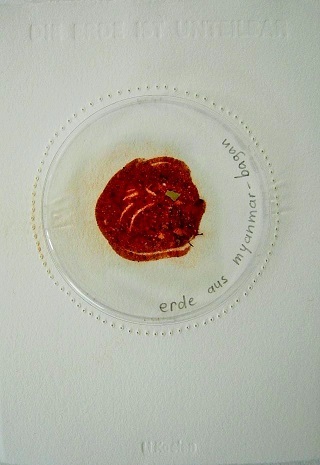 For the exhibition “Paradiso-Diaspora” in the year 2012 some earth was put in many small circular boxes. The Earth artwork “The Earth is indivisible” deals in various ways with the issue Earth. Therefore, earth was united from many parts of the world. This circle filled with earth, for example, is a symbol for the country in which a human is born. It symbolizes the permanent deep connection of the heart, no matter if the person left her or his country willingly or by force. 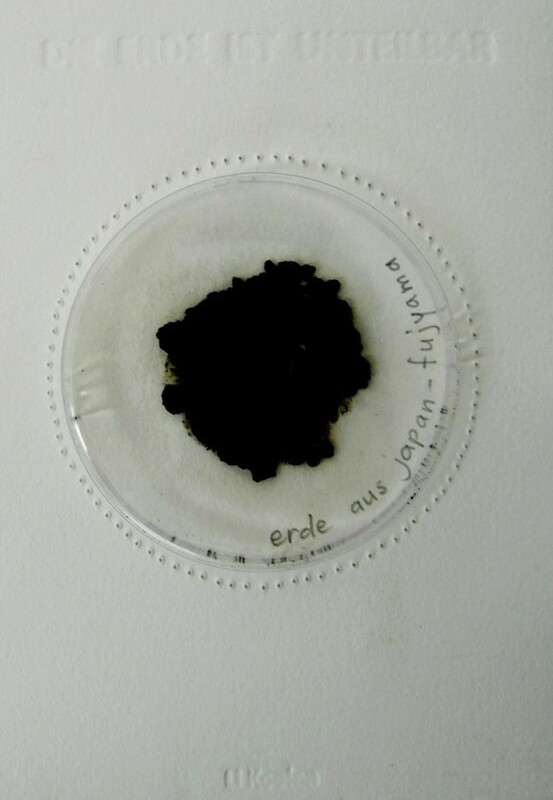 The project “The Earth is indivisible” is led on in the “Erdemuseum” (Earth Museum). It is my wish that someday “transformed” Earth goes back from here into the world.